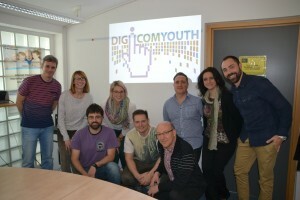 (23-24/05/2015) On 23th-24th of April, Tecnalia attended the kick-off of the DIGICOM/YOUTH Erasmus+ project. The type of the partners of the Consortium was very interesting: European partners working to improve the competences of youth people, especially from informal and non-formal education. HELP can be suitable for them too and TECNALIA presented and introduced the project amongst the partners to disseminate the project at European level. We introduced and presented HELP project and other projects from TECNALIA.